Remember the days of pretty close to free money? 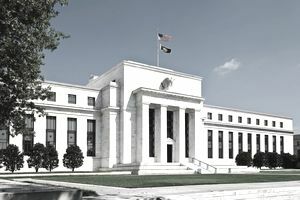 In response to the financial crisis, now a decade in the past, the Federal Reserve lowered interest rates to effectively 0 percent to jumpstart the economy. It wasn’t until 2015 that the Fed saw fit to raise rates. In 2018 alone, the country has seen 3 rate hikes. The economy is constantly creating winners and losers and rate hikes are no different. While one person or company experiences something positive as rates rise, somebody else finds themselves on the losing side. Where do retirees fall? If you’re old enough, you remember the good ol’ days when interest rates were high enough to make savings accounts a viable option to building wealth. In the 1980s savings account interest rates were in the double digits but today, they average less than 1 percent. As the fed raises rates, retirees who focus on keeping their money safe look to CDs and savings accounts to stash funds start to see higher rates. Beware—the 1980s had impressive interest rates on savings accounts but inflation was also quite high, making the real return on their money much lower than the interest rate of the account was showing. If inflation were to get out of control and the fed raises rates to compensate, you may not make any more money than you were when rates were historically low. Fixed annuities are based on the economic climate at the time of purchase. If interest rates are low, annuity payments are also low. In general, it’s best to shy away from these types of annuities in low-interest rate climates. Like certificates of deposit, you could purchase a smaller annuity now and a larger one later when rates are higher. There’s a reason pensions are nearly extinct—they’re expensive. Recent reports from multiple sources have found most pension funds to be underfunded. Even Social Security, the nation’s retirement system that operates much like a pension, is underfunded. When interest rates rise, pension funds feel a bit a relief but sadly, it would take a drastic rise in interest rates to get pensions back on solid ground. As you age, your medical needs rise. So does the cost! Long term care insurance could save you or a loved one hundreds of thousands of dollars in medical care costs but the cost of the insurance is substantial. As interest rates fall, insurance companies see a lower return on their investments. For every 1% decline in rates, insurers raise premiums 10% to 15%. This is particularly true with long-term care insurance. As rates begin to rise, policy rates become more competitive but just as interest rates rise slowly, insurance price also drop slowly. If you locked in your mortgage rate when interest rates were low, congratulations. If you have an adjustable rate mortgage, your mortgage payment will rise along with interest rates next time your rate resets. One of the Feds mandates is to keep inflation under control. They force interest rates to rise as a way of counteracting rapid growth that could lead to rapid inflation. Out-of-control inflation hurts retirees by raising the cost of goods and services without an equal rise in the value of money. In other words, the value of a retiree’s money is reduced making things more expensive and counteracting some of the growth of their investments. If raising interest causes slower growth in the investment markets, that hurts retirees but probably not as much as untamed inflation. How do you protect against the ill effects of rising rates? Not by worrying about the politics of interest rates but through smart money management. Diversification, careful saving and investing, and working with a skilled and experienced financial adviser that understands the needs of retirees. Is a Cruise Ship Retirement Right for You? Millions Rely on It, Do You Understand Teacher Retirement Pensions?